The Gyrotonic Pulley Tower Combination Unit Is The Result Of Over Thirty Years Of Research And Development, And Is The Most Widely Used Piece Of Gyrotonic Equipment. Thepulley Tower Provides Smooth, Even Support And Resistance Via A Unique, Weighted Pulley System. The Adjustable Bench And Rotating Handle Unit Can Be Customized To Fit The Individual Proportions, And Movement Capacities Of Each User. For personal or professional use. In order to teach clients professionally on the Archway you must be a certified Gyrotonic Trainer, and must successfully complete the Archway Foundation Course. A Broad Range Of Exercise Sequences And Modification Options Make The Jumping Stretching Board Accessible To People Of All Levels Of Strength And Flexibility. Due To Its Versatility, And Popularity With Clients, This Is Often The First Piece Of Specialized Equipment Added To A GYROTONIC® Studio. Jumping Stretching Board Exercise Sequences Are Composed Of Full Body, Functional Exercises, Performed In A Variety Of Body Positions- Kneeling, Standing, Lying And Sitting. A Diverse Range Of Standing Exercises Improve Flexibility, Coordination, And Functional Strength. The Ergonomic, Gliding Platform Allows Users To Experience Running, And Jumping In A Low Impact, Horizontal Plane, With The Spine And Pelvis Fully Supported, Making It Ideal For Post Injury Exercise. Four Independent Gliding Slides, With Optional Rotating Platforms, Provide For Challenging Strength And Coordination Sequences. The Propeller Accessory, And Pulley Tower Feature Are Also Included With This Unit. The Leg Extension Unit facilitates functional full, body movement sequences that strengthen upper/lower body coordination, and hand/foot coordination. Contra-lateral movement sequences in various planes increase functional strength and stability at all joints. A unique, patented, cam mechanism allows the leg to elongate, as it extends. So, the hip and knee joints are able to move in a fluid, natural range, without compression, increasing stability and strength around those joints. Hand/foot straps, and lightweight aluminum Wing Master accessory included. The GYROTONIC and GYROKINESIS methods are complementary exercise methods that fall under one umbrella- the GYROTONIC EXPANSION SYSTEM®. Both methods were developed by Juliu Horvath, an ethnic Hungarian, professional dancer from Romania. Horvath suffered a series of debilitating injuries during his dance career, and began developing what are now known as the Gyrotonic and Gyrokinesis Methods as a way to heal himself and regain his strength and agility. Since the thirty plus years since Horvath began developing the Gyrotonic and Gyrokinesis methods, the Gyrotonic Expansion System has grown to include a global community of over 10,500 Gyrotonic and Gyrokinesis Trainers teaching in 52 countries. The Gyrotonic and Gyrokinesis methods are both highly adaptable, making them accessible to everyone, regardless of age or physical ability. 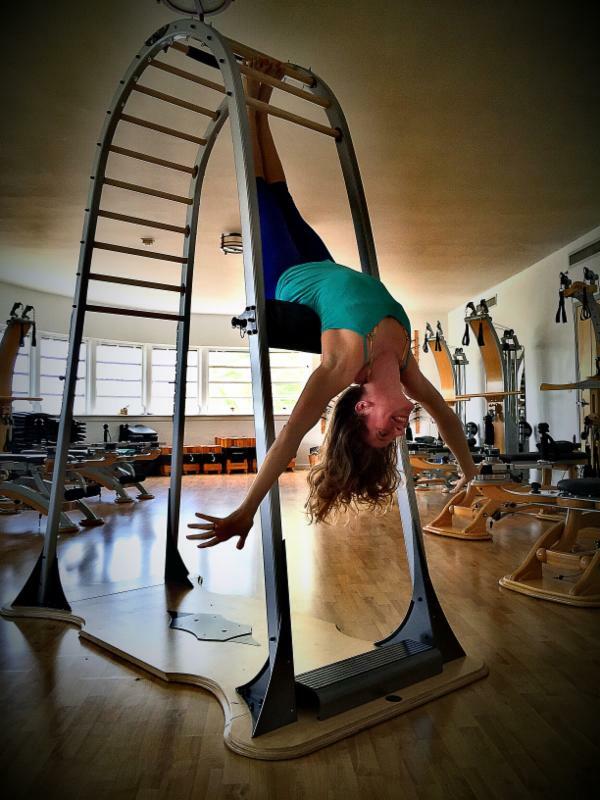 Gyrotonic and Gyrokinesis students live in many parts of the world, and come from all walks of life. Accomplished athletes and dancers, college students, baby boomers, senior citizens, and people with disabilities--many have become devoted practicioners of Gyrotonic and Gyrokinesis exercise.